client data to amplify your revenue without the hassle. Use BookShout's digital flexibility to your advantage and drive traffic to your website. Grow audience loyalty and revenue opportunities with high-value eBooks. As the smarter way to monetize, BookShout captures client data for premium affiliate partners. Standard Affiliate Program partners can earn up to 3x the revenue of other sources by using BookShout's ereading platform to feature and sell eBooks on their own website. BookShout handles the transaction, fulfillment, and reporting for you. No upfront fee, no monthly fee, no hassle. It’s the easiest—and quickest—solution in the industry. Our Premium Affiliate Program offers partners 3-5x the revenue of the standard program (up to 25 percent of the sale) and access to Readership Analytics to stay connected to customers. 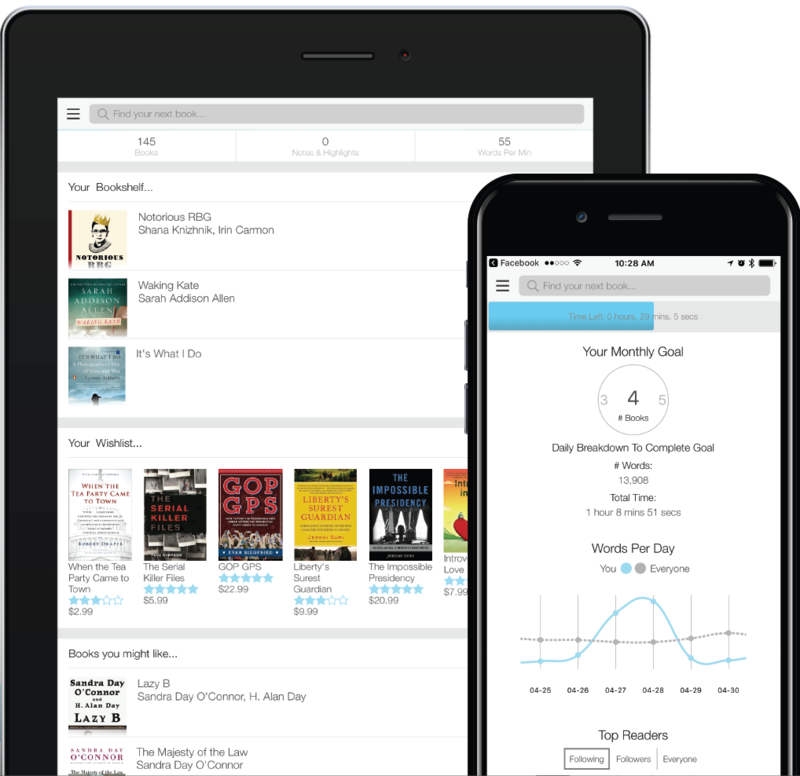 Users who purchase eBooks through BookShout are aggregated, analyzed and shared with premium partners on a monthly basis through an online dashboard. Partners can access this data for remarketing, future sales, client engagement and more. Upfront and monthly fees apply. For questions, email us at sales@bookshout.com or review our terms of service for additional information.